X99 has just made its way to the market and we are already seeing records being smashed. The other day Hashwell-E i7 5960X did a marvelous clocks of 6235GHz and today history is made once again by Shamino. 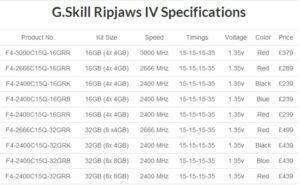 G.SKILL International Co. Ltd., the leading high performance memory designer and manufacturer, has announced breaking the DDR4 memory speed record at 4004MHz extreme frequency on Asus ROG X99 Rampage V and Intel core i7 5930k cpu. Though 4ghz is not earth shattering achievement as still highest memory speed achieved are 4620mhz by Kingston company’s ddr3 module as per this CPU-Z. But these early batches of DDR4 show us how overclockable these ddr4 modules will be as in near future we might even see speeds like 4700mhz and may be even 5GHz club. To achieve 4GHz on memory, Gskills used Asus ROG X99 Rampage V with core i7 5930k and cooled this combo with liquid nitrogen. For rams, they used their new series of Ripjaws 4. The frequency of the microprocessor was lowered to 2184.24MHz in order to maximize overclocking potential of its memory controller. The final frequency of the module was 4004.4MHz. 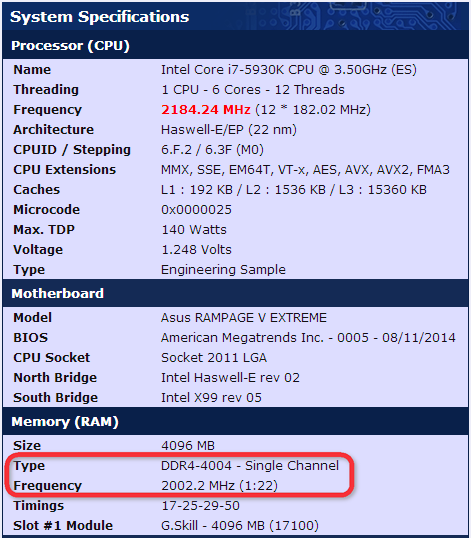 At stock these ram kits run at 2133 Mhz and timings of 15-15-15-35 at 1.2v. But for this test to achieve 4GHz voltage must have been around 1.4v and timings are loosened to 17-25-29-50 as we can see in the screenshots above. 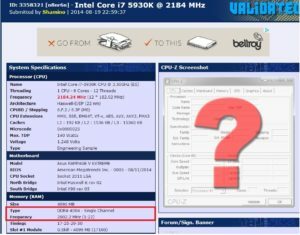 Only one module was used in single channel, which indicates the aim was just to show overclockability potential of thes rams. If first batch of these rams can do this much i can only imagine with better chips and better cooling treatments , any thing is possible. 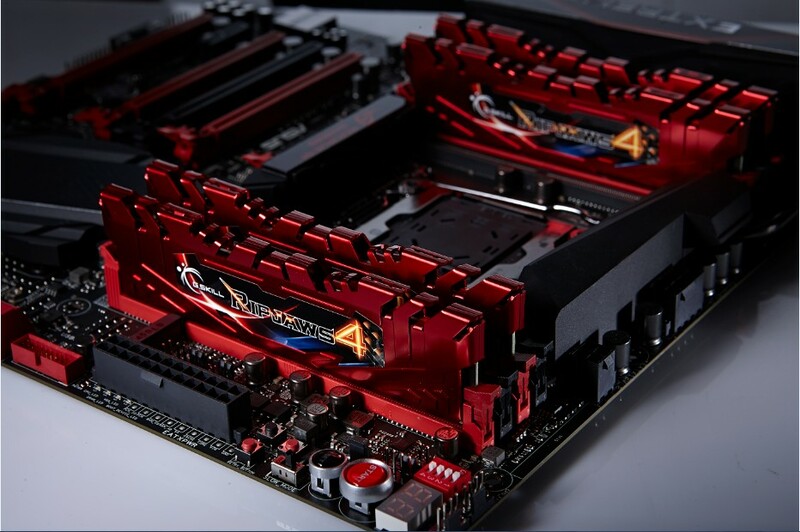 Various news releases have high hopes that in years to come with more sophisticated design and motherboards architecture, DDR4 will keep surprising us. Just few years back we were looking at 333MHz DDR with the launch of X99 platforms, we are already hitting 4GHz plus. 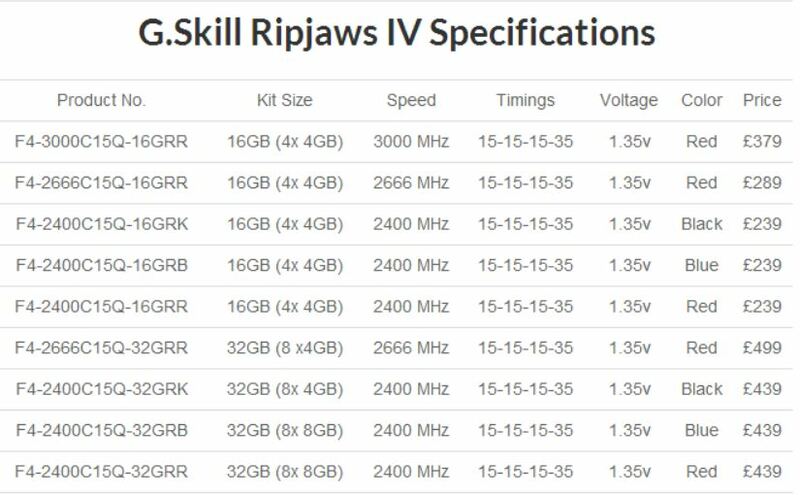 The G.Skill Ripjaws IV is listed on Overclockers UK in quad channel kits of 16GB and 32GB capacity with speeds ranging from 2400 MHz to 3000 MHz (however the 32GB capacity only goes up to 2666 MHz). These have a slightly higher voltage of 1.35v as compared to 1.2v on standard DDR4 kits. Furthermore, the timings are also slightly high at 15-15-15-35. All these Ripjaws IV memory kits are not available for pre-order on Overclockers UK. 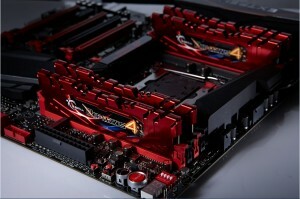 The prices are definitely high compared to DDR3 but obvious considering its a new technology. 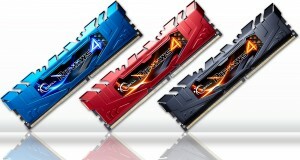 However, prices will go down as DDR4 goes mainstream. 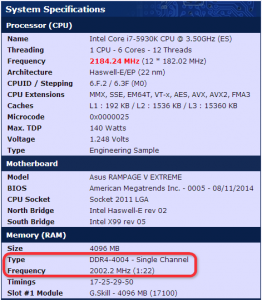 DDR4 kits will be compatible with upcomingIntel Haswell-E and X99 platform which launched on August 29, 2014.